Maze & Masters spread an organic message of tech grooves and techno laden sounds with roots of house older than their years, delivering energy and experiences in innovative underground journeys. One of London’s strongest soundtrack providers they reside and play at the most notorious venues in the city including Sabajaq at Egg, XOYO and Ministry of Sound, and have featured at events including LWE presents, Solid Grooves, Groove Odyssey & Phonica Records as well as ANTS and Elrow at Motion Bristol. 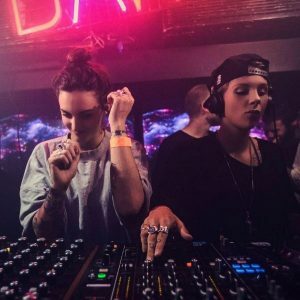 The girls have acted as support for the likes of Todd Terje, Maya Jane Coles, John Digweed, Eats Everything and many more including open & close sets at Ministry’s Box for Adam Beyer & Ida Engberg. A strong worldwide schedule has seen sets at Secret Garden Party – where they curated a stage and played The Drop & Pagoda, Bestival, Lovebox, closing Brighton Festival to a crowd of 8,000, radio shows on Rinse FM, The Good Room NYC & We Are FSTVL. Summer ‘16 saw a move to Ibiza as they joined Solid Grooves at Vista Club Privilege as residents, as well as DJ/presenters of weekly live stream radio shows on Ibiza Sonica and Ibiza Global, plus dates at Elrow at Space, Benimussa Park & more. On the production front they’ve seen high profile releases hitting #1 and #3 in Music Week Club and Cool Cuts charts from their remixes of Foxes “Youth” [Sony] and Chris Malinchak’s “If U Got It” [Relentless], which was played on Pete Tong’s Essential Mix, amongst others. Last years original “Joan Rivers” [Vicious Black] featured Juliet Sikora on the remix, was given love from Joseph Capriati and featured on Toolroom’s 2016 compilation. 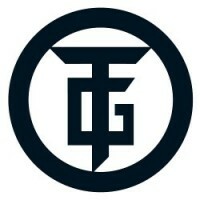 Their latest was given a nod from Seth Troxler with “I love these gals”.